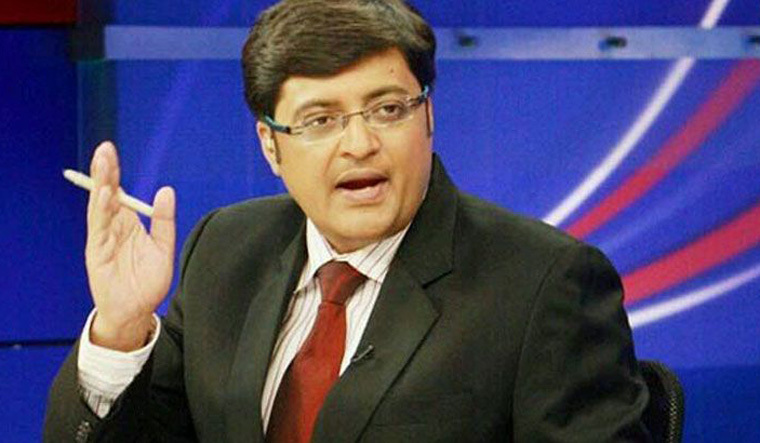 Days after facing a massive social media wrath over his controversial comments during a TV debate on Kerala floods, journalist Arnab Goswami and his Republic TV landed in another trouble. The News Broadcasting Standards Authority (NBSA) has directed the channel to apologise to the viewers for the “inappropriate” comments made by Goswami during a debate earlier this year. NBSA is an independent body set up by the News Broadcasters Association. The NBSA direction came on a complaint filed by A. Singh who, along with his partner Pratishtha Singh, was accused by the channel of harassing their reporter, Shivani Gupta, while reporting Vadgam MLA Jignesh Mevani’s “flop show” rally. “I am going to show these crude, lewd hyenas/show the dirty faces of lewd, cheap, vulgar, sexist, pervert anti-Indian goons,” Goswami was heard saying in his primetime debate on January 9. This comment was totally unwarranted and unjustified and the same was in violation of the broadcasting standards, said the NBSA in its August 30 order. During the debate, Goswami used multiple times the words “vulgar thing”, “pervert”, “goon”, “sexist”, “hyena” and “anti-Indian”. Singh, in his complaint, said he just said “Koi aapko tang nahi kar raha, aap jhooth bol rahi hai (You are lying. nobody is bothering you)” to the Republic TV reporter and that was neither sexist nor vulgar. Singh had demanded an apology from the channel saying the show had brought shame and loss of reputation to his family. Goswami was recently lambasted on social media after a 30 second video clip of him purportedly calling "a group" the "most shameless bunch of Indians I have ever seen" went viral on social media. Though Goswami was railing against the "netas" or the people who were trying to take advantage of Kerala, his remarks sparked off a storm on social platforms with netizens accusing him of disgracing Keralites.